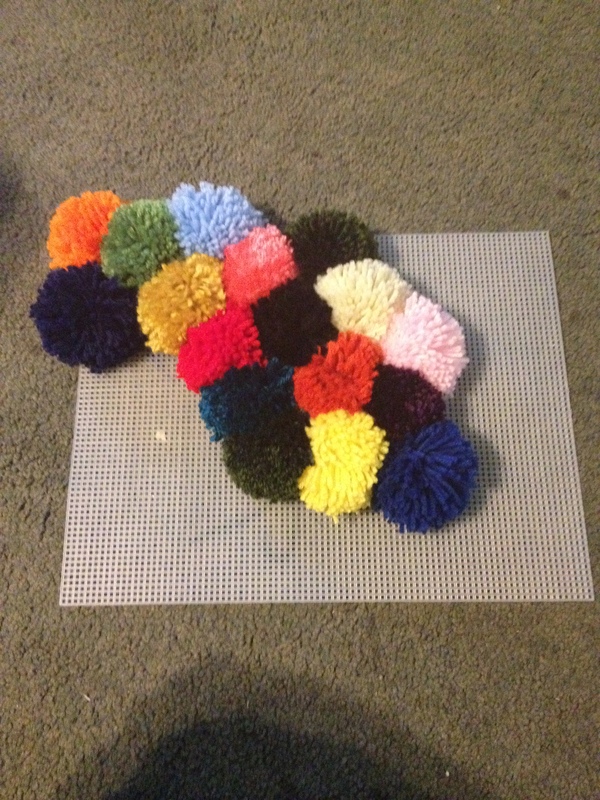 If you’ve been keeping up with the blog you may have seen this post about my WIPs, then you saw a pile of pompom’s that I had made. 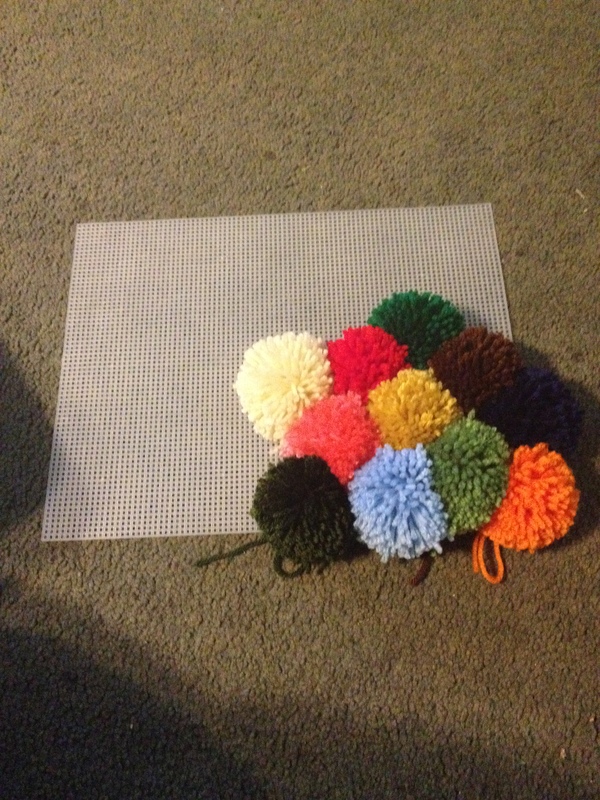 Well I made a lot more for the project I was working on. 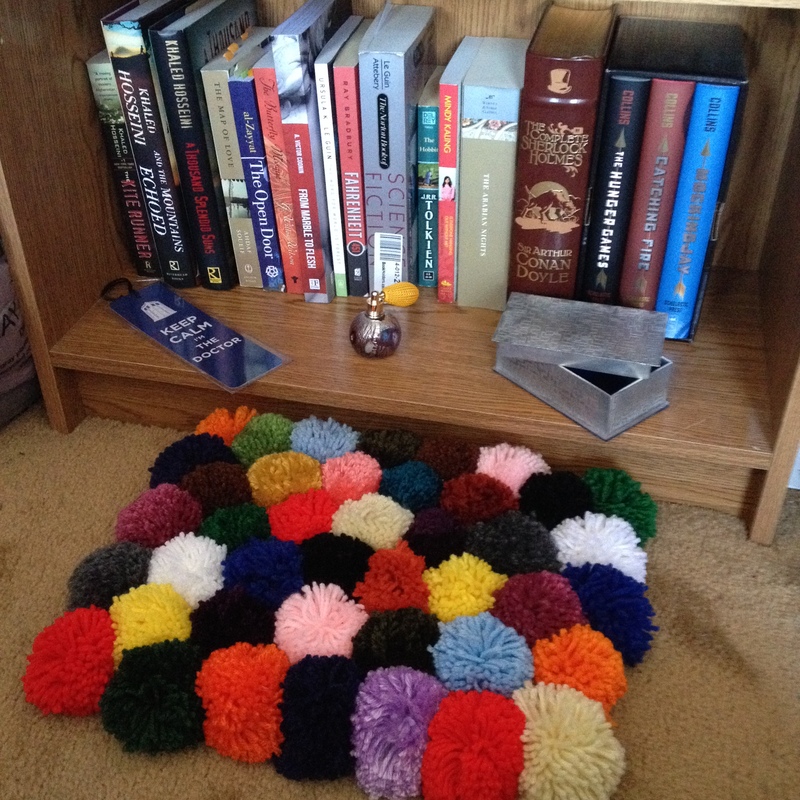 I made a Pompom Rug after I saw this one on Pinterest. 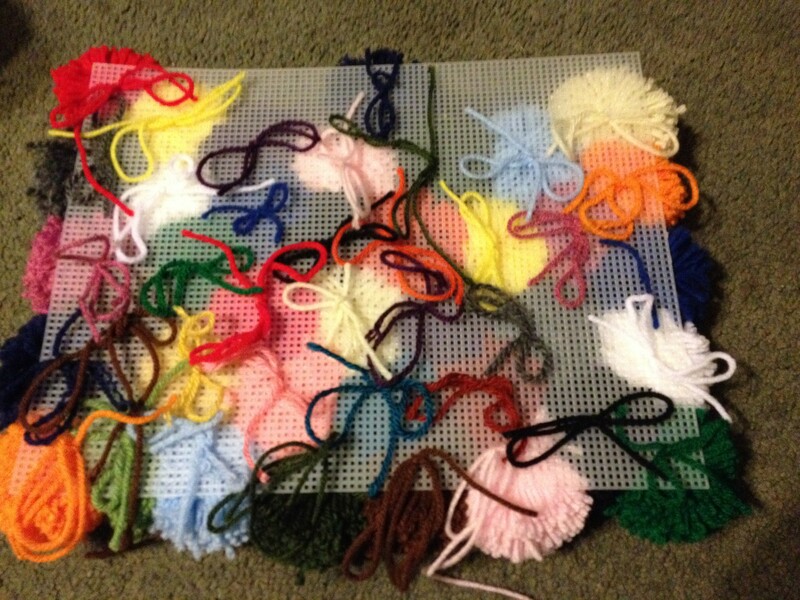 All the yarn I used to make the pompom’s was what I had on hand. (I barely made a dent in my stash.) 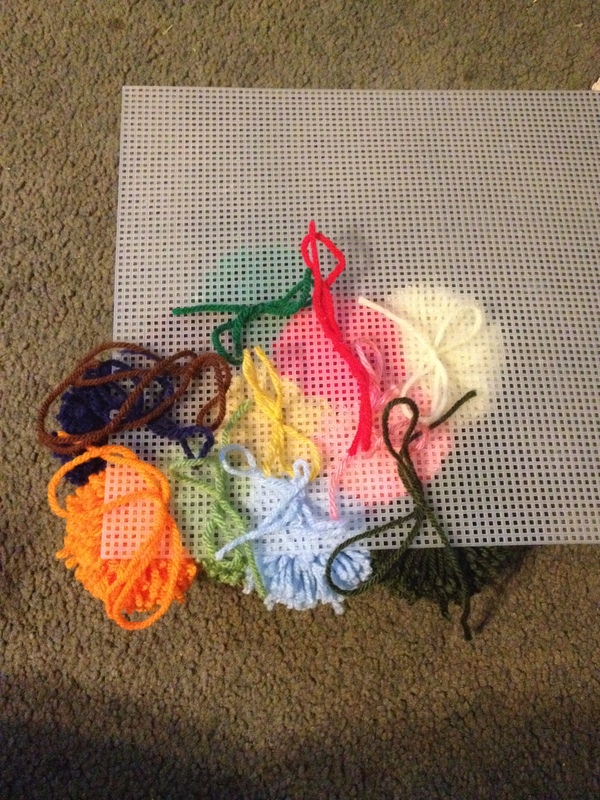 After I had all of them made I started tying them to a piece of pre-cut plastic canvas that I found in my mom’s craft supplies. 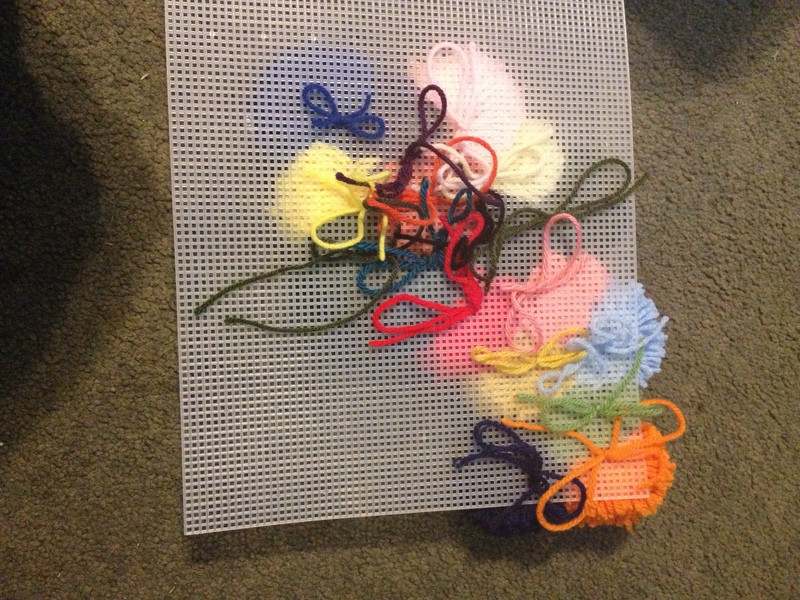 At about this point I realized that I was putting them way to close together and was making it really dense. So I started moving them around and gave them some more room and space. I just kept adding and filling in the spaces until I ran out. 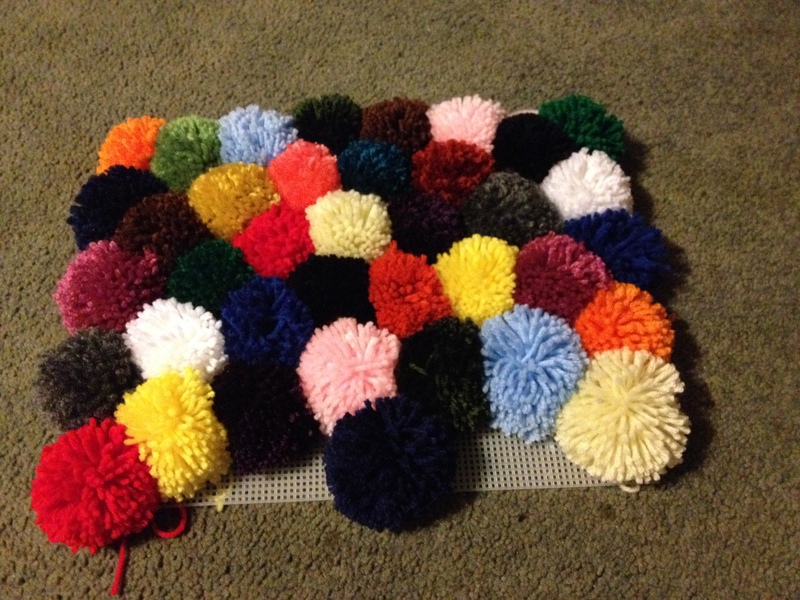 These were all the pompom’s I had made so I had to make about three more to finish it. 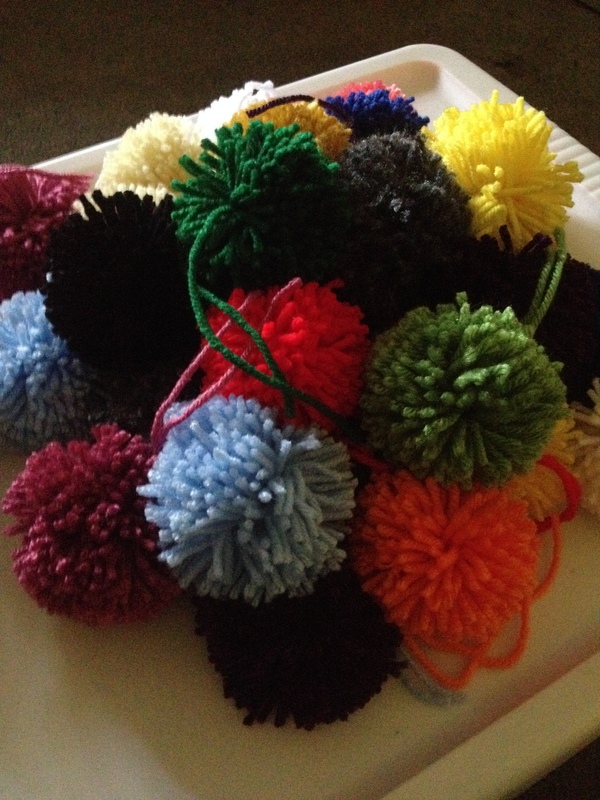 When I was done I cleaned up the back and fluffed the pompom’s up to look nice. I decided to put it in my bedroom in front of my bookcase. It looks beautiful in its place and the colors look really nice against the colors of my books. LOVE IT! It must be so squishy.